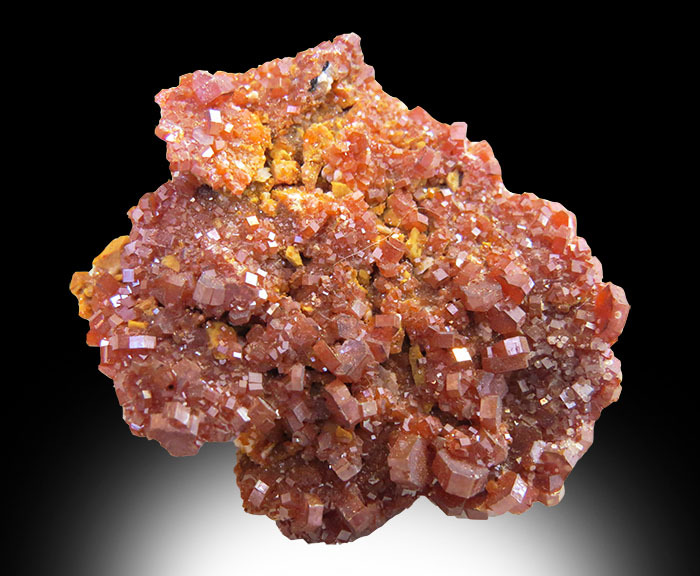 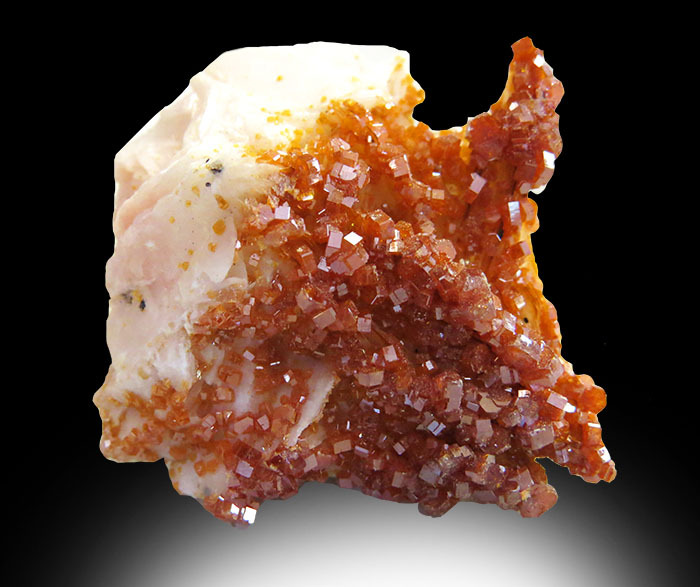 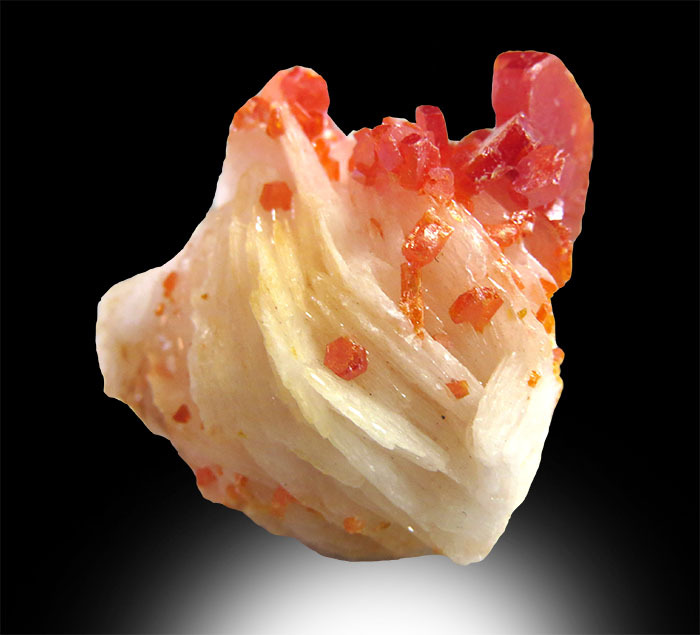 Vanadinite is formed by the oxidation of lead ores such as Galena and is usually found with hexagonal crystal formations. 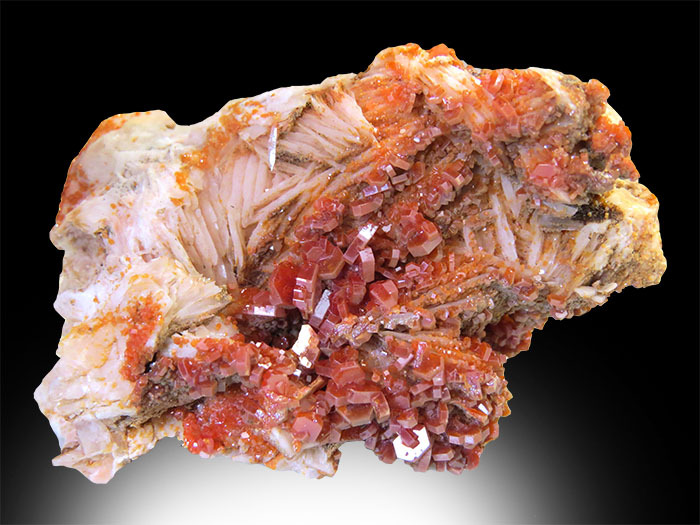 Vanadium which is found in Vanadinite is a chemical element that is used comercially as a steel and iron alloy and is also used in nuclear applications. 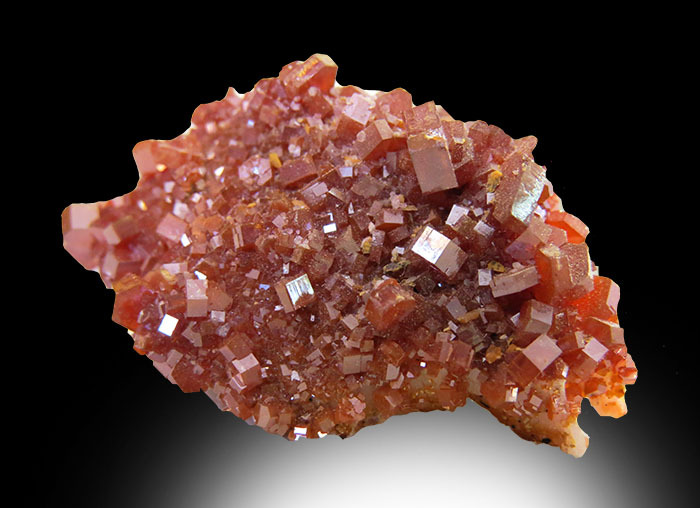 Many things are made with the help of Vanadium including surgical steels, tools, car parts and stainless steel. 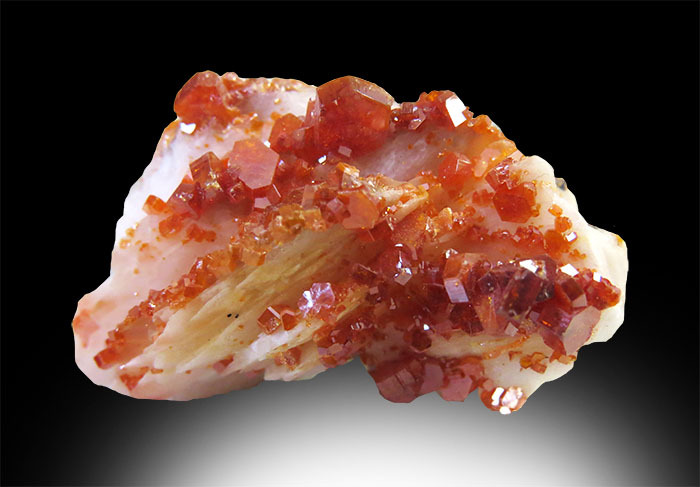 This stuff really sparkles beautifully under light!